We have seen all types of online marketplaces, from those that cater to fashion, and other materialistic merchandise. But what about a place where you can sell and build your online store of maybe dresses, makeup, food or tech, a place where you can also post classified ads and offer, promote, receive bookings and payment for your services as service providers based on your preferred time and location? Sounds pretty BIG right? What really is Big Benta? BigBenta is an Internet software and platform provider whose belief in the Philippines continued economic growth, lies on the growth and success of the micro, small and medium entrepreneurs (MSME) and skilled individuals nationwide. Through its various online services and application targeting the mass market, BigBenta is doing its share it to build the competitiveness of the MSMEs and provide additional income to the Filipino skilled workers. BigBenta Marketplace houses its various platform and services for the MSMEs, Service Providers and Customers under one site. It’s a Filipino company made for the Filipinos. There is no question as to the growth prospect or the inevitable adoption of e-commerce in the Philippines. However, the many barriers currently present in the market have collectively slowed down the rise of this bright new industry from taking off in the Philippines, unlike its neighbors in Asia. The founders of BigBenta believe the micro, small and medium enterprises (MSME) will be the foundation of e-commerce in the Philippines and not the large companies. Though the MSME segment presents some challenges, BigBenta understands each and everyone of them and believes that it has the solutions and operational experiences to address them one step at a time, efforts which will eventually translate to its success in the Philippine market. Hence, BigBenta has developed an approach that defines its current commercial and technical initiatives. Commercial initiatives such as a sales & marketing approach that is customer-driven, responsive, prudent, evolving, and patient in solving customer problems. These attributes are what the market requires at the moment. Technical initiatives such as an in-house and open source platform development, instead of deploying an over-the-counter or an outsourced platform, suited for a local market that needs customized, innovative, and evolving solutions. About a year ago, BigBenta launched its Classified Ads service. It was intended to give the local market an alternative to the dominant player as well as build its own presence in the local online market. The market for online classified ads has since intensified among the players, but it has also generated the right interest among the older population, which reinforces the message that Internet will be part of everyone’s life more and more. Around March of 2016, the company launched its online store called “BigBenta Store” where now, close to a hundred merchants have set up their online store and started selling to anyone nationwide. BigBenta Store is the manifestation of the company’s belief and support for the micro, small and medium enterprises (MSME). The major difference of BigBenta Store from the competitors is it allows the merchants (Storeowners) to create their own online store based on their preferences like items to sell, its varieties (e.g. color, sizes, etc. ), inventory level, pricing, promotion rules, payment method, customer management, report management and many more. The online store will soon be equipped with features like chat, abandoned cart management, customer survey, and complaint management that are all designed to put the storeowners in control of their online store and everything that happens in it. To complete BigBenta Marketplace, the company officially launched its 3rd platform, BigBenta Service Booking this month. 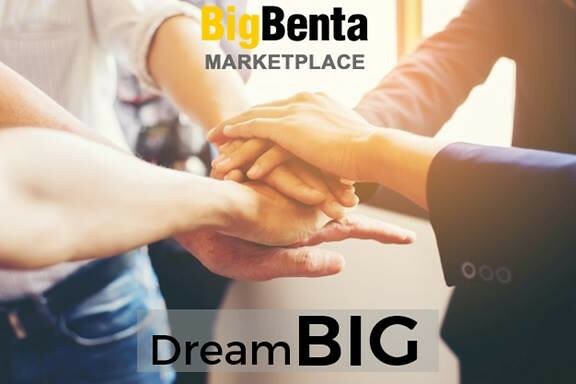 In terms of its full range of offerings, BigBenta Marketplace stands as truly one-of-a-kind having three platforms, built to respond to the needs of Filipino customers and entrepreneurs. BigBenta Service Bookings allows any skilled individual (a.k.a. Service Provider or SP) to directly offer their services based on their preferred location, time, work scope and rate charges. Likewise, customers can also specify, browse and choose their preferred service provider using a variety of criteria. Most services offered are blue collar in nature (e.g. plumbers, electrician, tutors, masseuse, beauticians, etc.) while there are also some professional services available like bookkeeping, accountancy, events management, and others. BigBenta Service Booking was developed to provide additional income to service providers outside their full-time or daytime jobs, while giving them full flexibility based on their available schedule and place of residence. The major difference of BigBenta Service Booking compared to competition is its positioning that is geared towards individual service providers rather than service companies or agencies. For the customer, this means that prices are lower, service duration is flexible (e.g. hourly, half-day, whole day, per call, etc. ), and scope of services is equally varied. For as long as a service provider can do it, he or she can offer it, in her own terms. BigBenta Marketplace and its entire service portfolio will soon be available on mobile (Android and iOS). To prevent fraud, fake items and persons with character issues from offering their services in BigBenta Store and BigBenta Service Booking, the company implements an authentication and verification (A&V) process to all its storeowners and service providers on an annual basis. Every product item and service being offered including its purchase and booking are screened and verified by BigBenta’s customer support, all done to protect the customers.